For more than five centuries, the De Halve Maan brewery in Bruges, Belgium, has been making beer. And it’s very good beer, according to those who rate such things — in recent years especially, many of their beers have won prestigious awards. The strong reputation of that beer has increased demand for De Halve Maan’s product, and seeing the opportunity to make more money, De Halve Maan has increased supply. And then they realized that their facilities just weren’t appropriate for their ever-growing business. Bruges is a small city which dates back to the year 840. While the city has modernized in many ways, it’s also retained a lot of its historic charm (or curses, depending on your point of view) in many others. Of particular note are its roads. 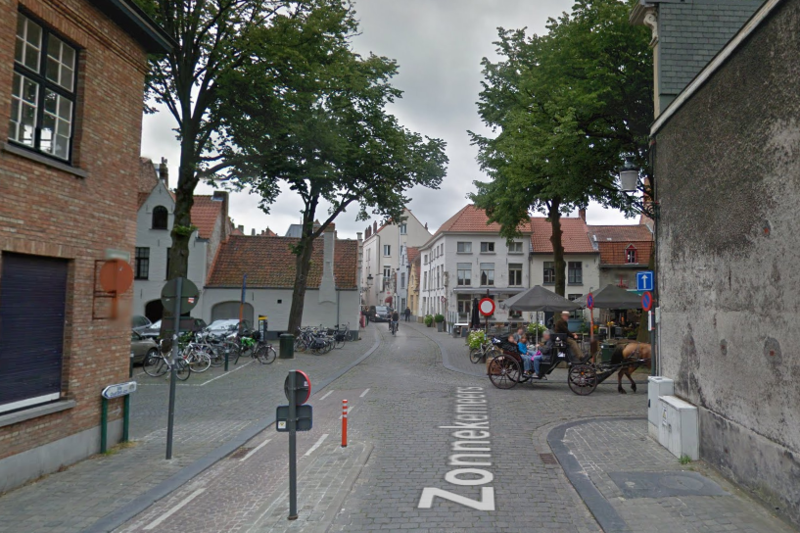 They’re narrow and paved in cobblestones (as seen above via Google Street View ), and many predate cars, trucks, and buses. The Medieval feel of Bruges has been a boon for De Halve Maan — nearly 100,000 tourists visit its facilities each year, taking in the frozen-in-time aspects of the city’s architecture while downing a fresh pint right from the brewery itself. But due to the increased beer production, those roads have become a problem. To get beer from the brewery, De Halve Maan needed a seemingly infinite stream of trucks to come in and out, and the local infrastructure simply didn’t allow for it. As a result, the brewery’s owners considered moving production out of its home of more than five centuries, relocated to a place more accessible by truck. And then, in 2011, telephone company workers installed some cables outside the brewery and, according to NPR, De Halve Maan’s owner, Xavier Vanneste, noticed. And it piqued his curiosity — Bruges’ existing infrastructure was causing him untold struggles, but the telecom company found a way around the same problem. Or, more accurately, they found a way under it. If the telephone company could run wires underground, Vanneste wondered, maybe De Halve Maan could run tubes full of beer below the street as well. Intrigued, Vanneste went to explore this solution. To satisfy food safety authorities, avoid accidentally poisoning customers, and keep its beer delicious, De Halve Maan used high-density polyethlyene, a hardy and food-grade plastic. A series of bundled pipes, about a foot in total diameter, can transport up to 1,060 gallons of beer an hour between the center city brewery and its bottling plant. It will take each delicious batch between one and half and three hours travel from end to end. The leisurely pace isn’t a cultural thing, it’s to keep too much air from infiltrating the good stuff. Between batches, the brewers will use jets of cleaning solution to disinfect and sterilize the pipes and keep the product in safe chugging condition. Oh, and the budget for the project came out to about $4.5 million. But De Halve Maan overcame all these obstacles and, this month, the beer began flowing through the Bruges beer pipeline. To date, no one has figured out how to create an unauthorized tap. Bonus fact: The founder of Danish brewer Carlsberg, Jacob Christian Jacobsen, liked living near his brewery and set up a home for himself and his son Carl next door. When Jacbosen died, his will stipulated that Carl would have use of this home for the rest of Carl’s life, and then the house — called the “Carlsberg Honorary Residence” — was to be used by ‘‘a man or a woman deserving of esteem from the community by reason of services to science, literature, or art, or for other reasons.” In 1922, physicist Niels Bohr won the Nobel Prize in his field, and ten years later, the Royal Danish Academy of Sciences and Letters invited him to live in the Residence for free. Bohr accepted and got more than in bargained for — in a good way. As Neatorama notes, the house had a neat feature: a beer tap, fueled directly from the brewery. From the Archives: Dissolving Medals: How Niels Bohr hid his from German soldiers in World War II. Related: A beer pipeline of your very own. Want to learn all sorts of interesting things? you'll learn something new every day. Now I Know is supported by readers like you. 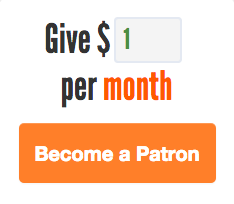 Please consider becoming a patron by supporting the project on Patreon. Click here for more information or to pledge your support. Copyright © 2010-2019 Dan Lewis. All rights reserved. Now I Know is by Dan Lewis and powered by Mailchimp. It is a participant in the Amazon Services LLC Associates Program, an affiliate advertising program designed to provide a means for sites to earn advertising fees by advertising and linking to Amazon.com.